Less than a month after Anna Thorvaldsdottír’s inclusion on Nordic Affect’s Clockworking, a new collection of her work has been issued. This four-movement work (plus a concluding piece) premiered only a year ago, and is performed by the International Contemporary Ensemble. At the 2014 Reykjavik Arts Festival, a series of breath-activated lights enhanced the experience, while many klakabönd (metallic ornaments known as a bind of ice) were used as percussion. Much of this is apparent in the clip below, but home listeners might imitate the experience through creative lighting and sound-and-motion activated appliances. Today I’m happy to introduce Blask, a free portfolio theme designed by Mel Choyce. Blask is a modern portfolio theme that uses a clean, minimal layout to showcase your work. The bold grid design keeps the spotlight on your projects, and scales to fit any screen size. Blask also lets you share your thoughts and engage in a conversation with your visitors through the beautiful blog page, which shares the same minimal look. You can make Blask your own by adding a logo, customizing the menu, and adding links to your social networks. Whether you’re an illustrator, designer, or photographer, Blask is the perfect outlet for your creativity. Read more about Blask on the Theme Showcase, or activate it on your site from Appearance → Themes! 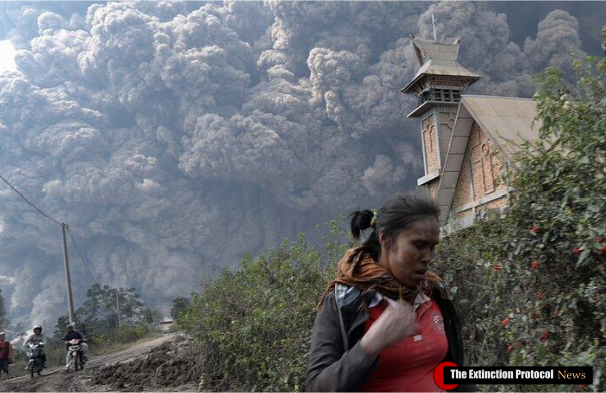 April 2015 – INDONESIA— The Mount Sinabung volcano in Indonesia’s North Sumatra province erupted on Thursday afternoon, spewing a column of ash by up to two kilometers into the sky and triggering a small-scale evacuation, an official said on Friday. A powerful burst of hot ash was spread from the rumbling volcano, heading four kilometers to the south of the crater and one kilometer to the southeast, according to Sutopo Purwo Nugroho, spokesman for the National Disaster Management Agency, Xinhua reported. Some of the villagers living near the volcano were evacuated to safer places, Sutopo said. ‘Some of residents of Sibintun village have to be evacuated by force by officials to other places,’ he told Xinhua. когда сложнее найти (по)следователя, чем явить факт своего существования. был один художник, и орбита. а теперь орбита перешла в обилие «художников», а (по)следователь становится одиночкой. Блог на WordPress.com. Тема: Titan.